Lawrence Anthony devoted his life to animal conservation, protecting the world’s endangered species. Then he was asked to accept a herd of “rogue” wild elephants on his Thula Thula game reserve in Zululand. His common sense told him to refuse, but he was the herd’s last chance of survival: they would be killed if he wouldn’t take them. “Stunningly beautiful and inspiring!” Y.T. “The Elephant Whisperer will change your life. 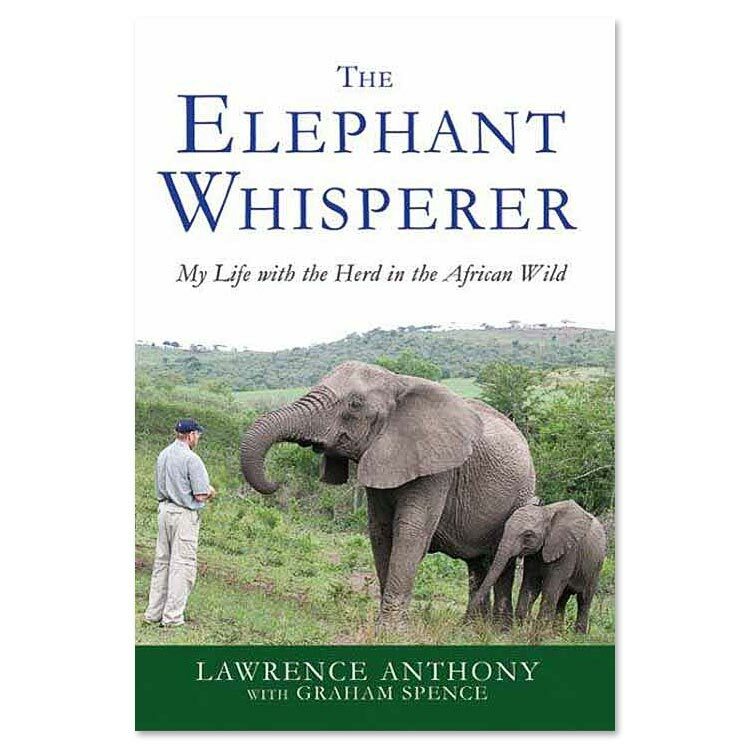 It is written with such humor and warmth, and you come away feeling that each character is a personal friend.” C. C.
This bestselling true story, written by world-renowned conservationist, Dr. Lawrence Anthony, tells of his legendary relationship with a herd of wild elephant in the South African bush. For 12 years, they interacted with him in such astonishing ways that CNN, BBC, NBC, and a host of other media came there to film him. Each time they arrived skeptical of what they would see. Each time they left having had a spiritual experience of their own. “This is on my list of top 5 favorite books of all time!” D.T.